Mike was born and raised in Las Vegas. In 2005, he received the call that he was accepted into the Las Vegas Metropolitan Police Department. He started in patrol on the graveyard shift in the Southwest area command. When the Field Training program was implemented for the graveyard shift, he became a Field Training Officer. With his union experience in his prior line of work, he quickly develop an interest in the Las Vegas Police Protection Association. 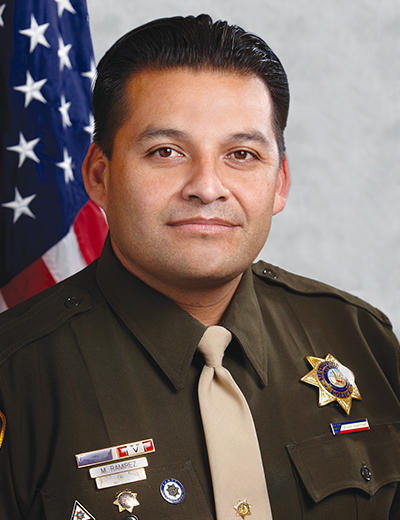 In 2008 he was appointed as the Southwest Area Command Director. Then Southwest turned into Enterprise area command. While still in patrol, Mike accepted the appointment to Executive Board of the LVPPA as the Secretary in 2013. In 2014 Mike took the roll of Director of Governmental Affairs. With this came the duties of lobbying in Carson City during the 2015 legislation session. In addition, Mike serves on the Donation Committee and PAC Committee as well as Bylaw and Expense Committee, and holds the position of Secretary of the LEAF Charities Committee.